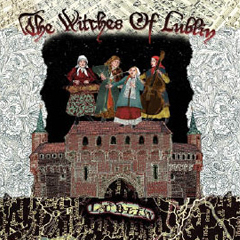 The Witches of Lublin is based on true and little known history of klezmer musicians in Eastern Europe. Co-writer Yale Strom’s research uncovered the facts that there were women klezmer musicians, and that when klezmers would play for gentile nobility, their reward could sometimes be beatings, death or even kidnappings. This history formed the springboard for this work of fiction by Strom, Schwartz and Kushner based on Jewish women’s lives in 18th Century Europe, klezmer music and feminist history, with a healthy dose of magical realism thrown in. 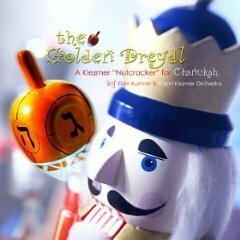 Originally created in collaboration with the Boston-based six-piece klezmer band Shirim as a stage show, The Golden Dreydl: a Klezmer “Nutcracker” for Chanukah went on to become an award-winning holiday special that airs on public radio stations around the country and is available from Rykodisc. 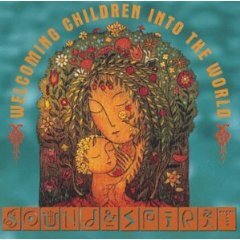 Compiled in 1996 by host Ellen Kushner and produced by WGBH for Public Radio International for award-winning radio program Sound & Spirit, Welcoming Children… features “music for and about our youngest children” that describes the universal stresses and joys of an infant. The CD reflects the radio playlist, featuring artists and songs from the program. The tracks run from Sweet Honey and Woody Guthrie to Serbo-Croatian and Nepalese lullabies, a song about adoption, a Baka nursery rhyme, a medieval Sephardic song about going through labor, a Navajo chant, and several African genres touching on various baby-related topics.